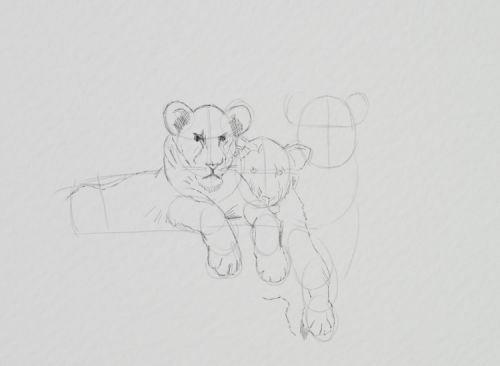 I have completed two lion sketches tutorials. 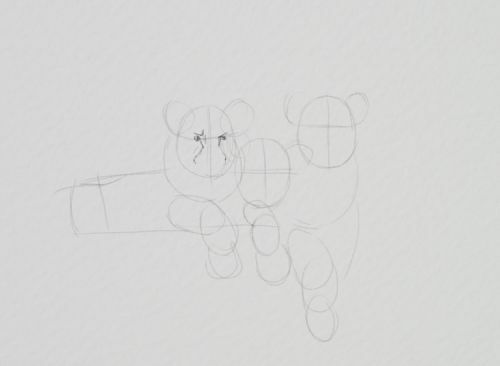 This is the first, both showing you how to draw a lion speedily. Quick sketches of animals like this are best done from life if possible. 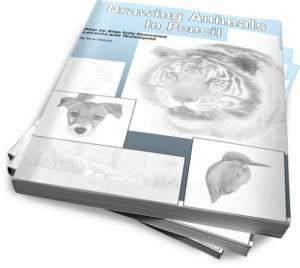 If you get the opportunity to see any animal in the flesh make sure you sketch and take as many photographs as posssible for future reference. 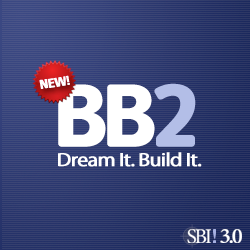 Building up a reference library of your own enriches your creative choices. 1. There are three lions. 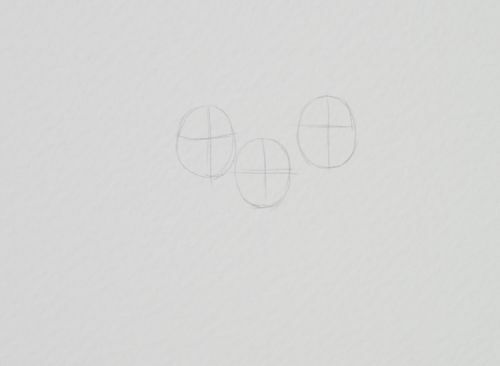 I started with these ovals, estimating the distance between each head. 2. Centre lines and eye lines. The centre line shows the direction the animals are looking. 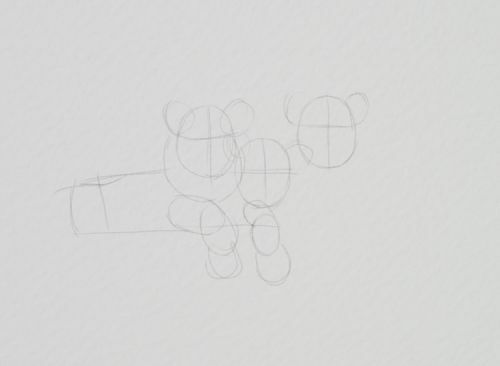 As the animal turns it's head away from the front so the centre line moves with it. 3. Round ears. No need for great accuracy of size or shape, just concentrate on position. 4. The first lion body is simply dashed lines. 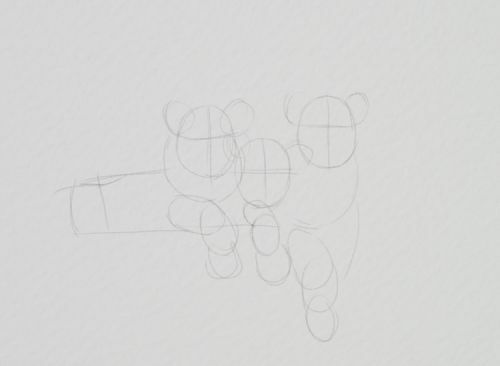 Being confident in your strokes is essential when sketching. 5. 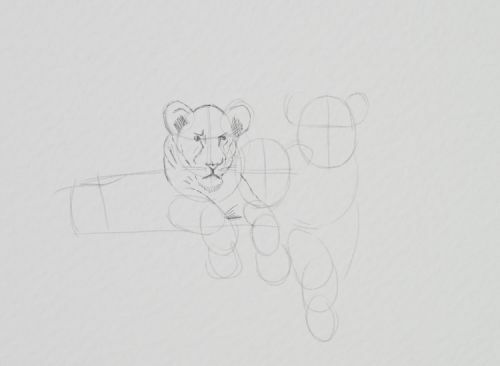 Front leg divided into upper and lower sections and the paw. 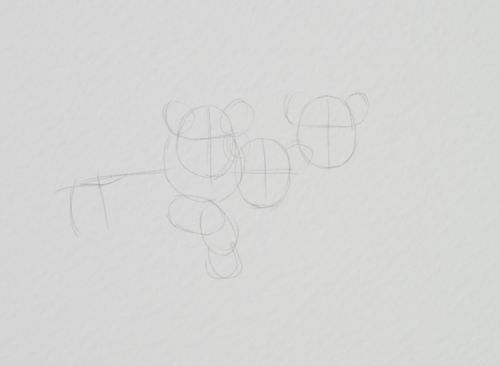 I also sketched in the shape of the hind quarters that we can see. 6. Other leg and a base to show the lions are laid. 7. The other visible parts of the remaining lions.  As they are in a huddle and above the viewer we cannot see much. 8. I will walk you through the details. I sketch the eyes and snout. 9. Nose, mouth and top of the skull. 10. Ears. 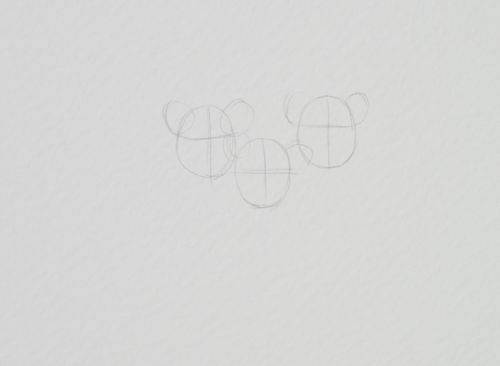 They are rounded and I let a little shake in my hand give the impression of hair. 11. The rest of the face. 12. Shoulders and upper legs. 13. I finish the body and legs plus a little more definition on the features. 14. 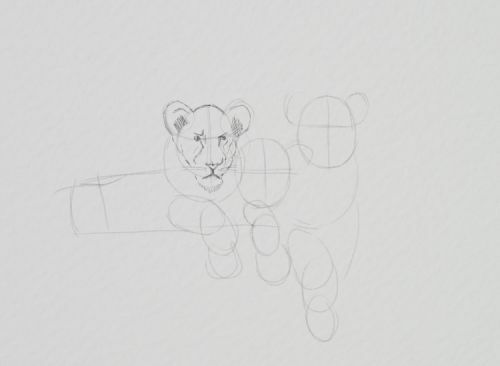 The middle lion is quickly finished with the guides helping greatly. 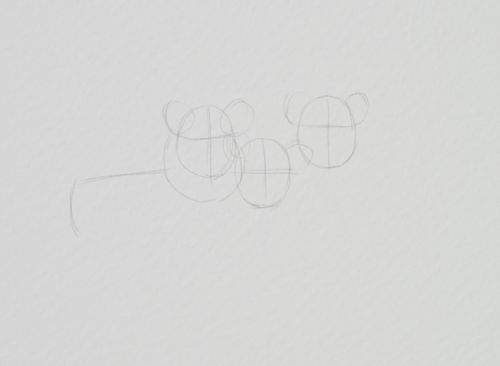 The irregular lines make the animal look furry. 15. 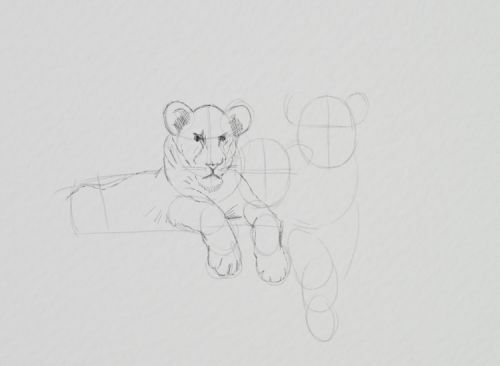 I complete the remaining lion and then go over the details as in stage 13. 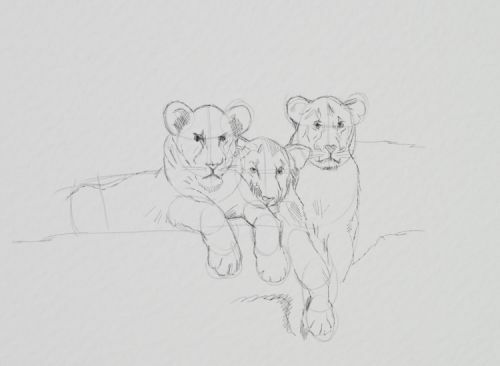 Return to drawing animals from lion sketches.